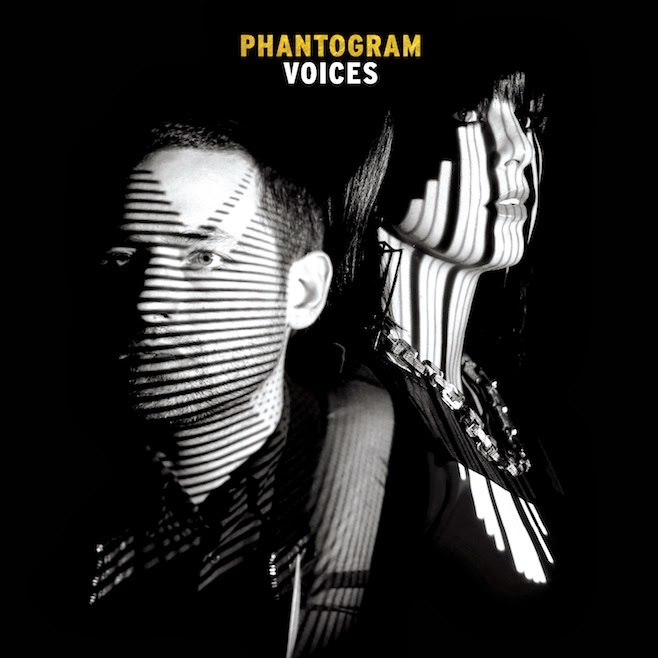 Voices is Phantogram’s long-awaited full-length followup to 2009’s infectious Eyelid Movies and 2011’s placeholder EP, Nightlife. After three seemingly endless years of touring, Voices arrives shrink-wrapped in much-deserved hype yet hampered by a release strategy that can’t help but render the final product, at least as far as the short term is concerned, a touch deflating (offering up a handful of your record’s best songs nearly six months in advance of the actual release is just asking for an inevitable hint of anti-climax). Marketing strategy aside though, the new album will most likely satisfy followers of the Greenwich duo while winning new fans in the process. However, for those expecting the next evolution of Phantogram, the whole thing may sound almost oppressively familiar. From the dirty polish of Josh Carter’s breakbeats to the looped breathy vocals of Sarah Barthel, Phantogram systematically check off all of their signature trademarks, pleasantly resistant to not sounding like themselves.While not a by-the-numbers effort, there are more than a few moments where Voices feels rigidly station-to-station, incapable of moving past its own formula. Voices opens with three tracks that all double-down on the Phantogram recipe. The electrifying “Nothing But Trouble” and “Black Out Days” both sound like shinier, bigger-budgeted sequels to some of their Eyelid Movies predecessors. It’s a dynamic one-two punch to kick things off and “Fall in Love” only spoils the listener further. Easily one of the band’s best songs since the irrepressible urban slink of “When I’m Small”, “Fall in Love” also represents Phantogram at their most-inspired with tasteful nods to early-90s trip hop and runway electronica. The remainder of the album does not constitute a drop-off in quality (“The Day You Died” and “Celebrating Nothing” are memorable additions to the Phantogram oeuvre) as much as it settles into a clumsy, uneven groove. Past songs like “Running From the Cops” have proven that, while his vocals are never the highlight of Phantogram, if utilized correctly, Josh Carter’s voice can be an interesting change of pace. On Voices though (get it? ), both songs where Carter takes the mic (“Never Going Home” and the cringe-inducing “I Don’t Blame You”) bring the momentum to a screeching halt. It’s a curiously tone-deaf decision from a band otherwise so reluctant to move out of their comfort zone. Other tracks range from clunky (the awkward, yet catchy “Howling at the Moon” where Barthel almost goes full Sleigh Bells before regressing back to an oddly lightweight chorus) to confounding (“Bill Murray”). Yet what renders Barthel and Carter endearing is how hard they work to project life into their flatter material. Despite Voices never again reaching the heights of its opening trifecta, Phantogram attack each track with identical fervor- they’re a band that demands to be seen live and, truth be known, perhaps the ultimate Voices verdict should be reserved until then. In the meantime, while this new release doesn’t represent the monumental step forward many expected for the duo, it’s a step forward nonetheless.